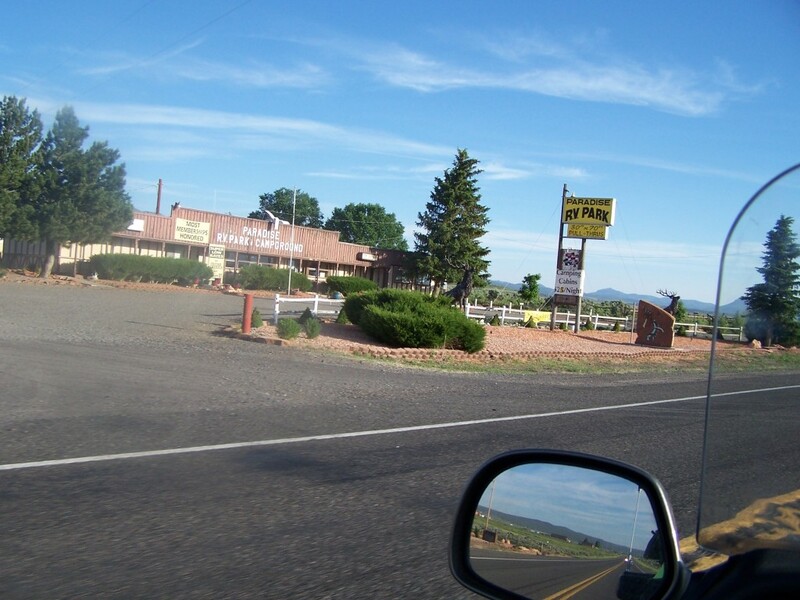 The ride up US-89 is a scenic ride through picturesque Mormon farm and ranch country. Today is another beautiful riding day, cool with beautiful blue skies and thin clouds. 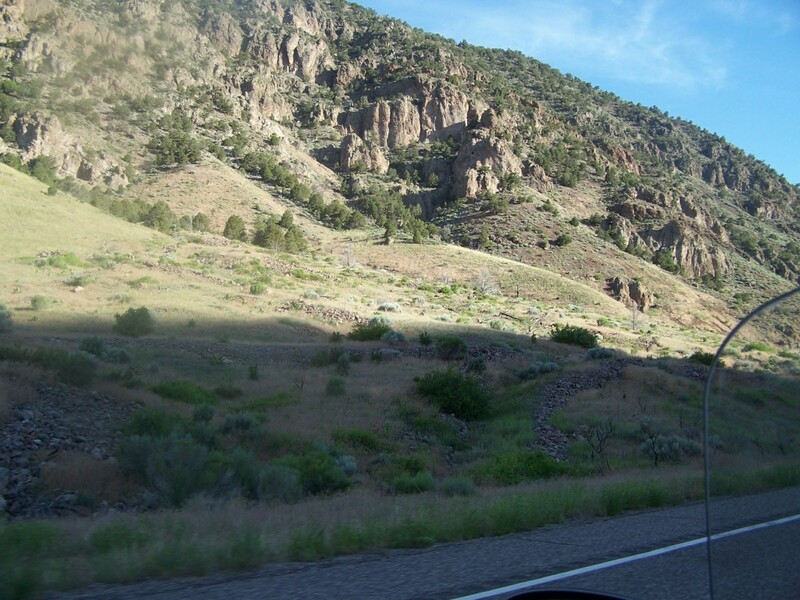 As we continued north, the valley narrowed significantly before opening out near the town of Circleville. 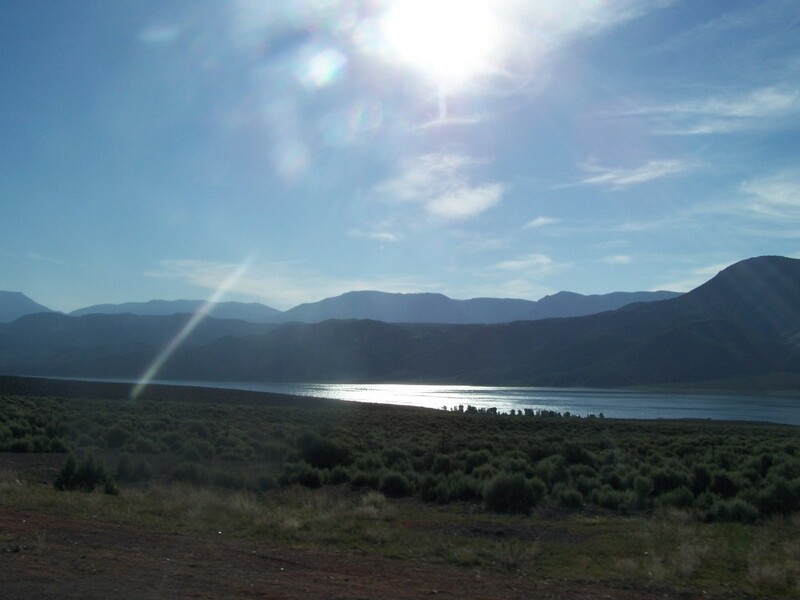 We rode past Piute Reservoir. As we rode past the reservoir the sun sparkled off the water making for a nice scenic view. The reservoir was created when the Sevier River was dammed. Riding North of Marysvale, the Piute County Seat, the valley narrows again giving us nice views of the surrounding mountains. 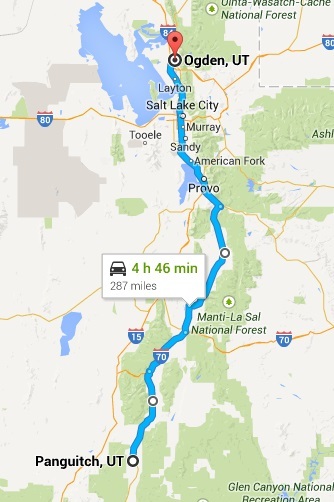 North of Sevier, US-89 and I-70 merge for the next 35 miles. At the town of Salina we left I-70 behind and continued up US-89 for 128 miles to the town of Lehi. 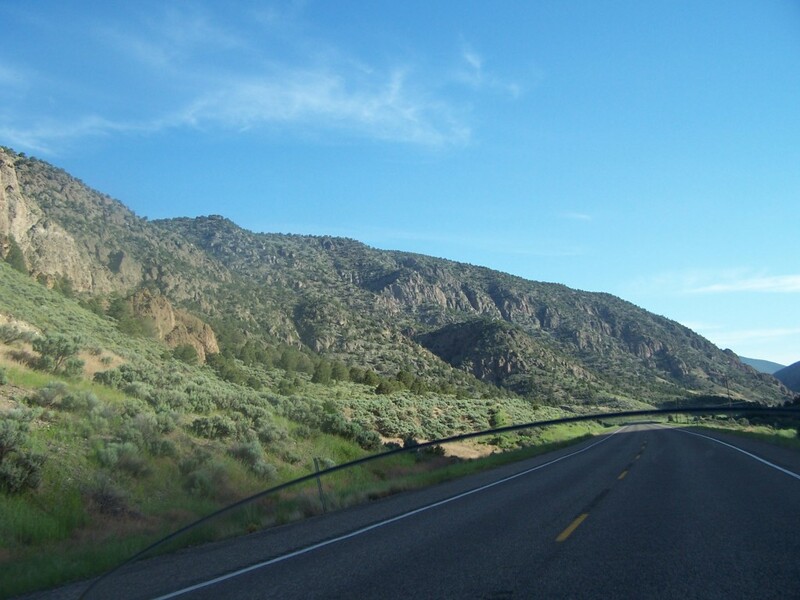 Along this section of US-89 there are several small cities: Manti, Ephraim, Mount Pleasant, and Fairview. Beyond Fairview US-89 climbs out of the valley, reaches the summit at Hill Top (elevation of 6400 feet). The next leg of our ride descends through a canyon near the ghost town of Thistle. 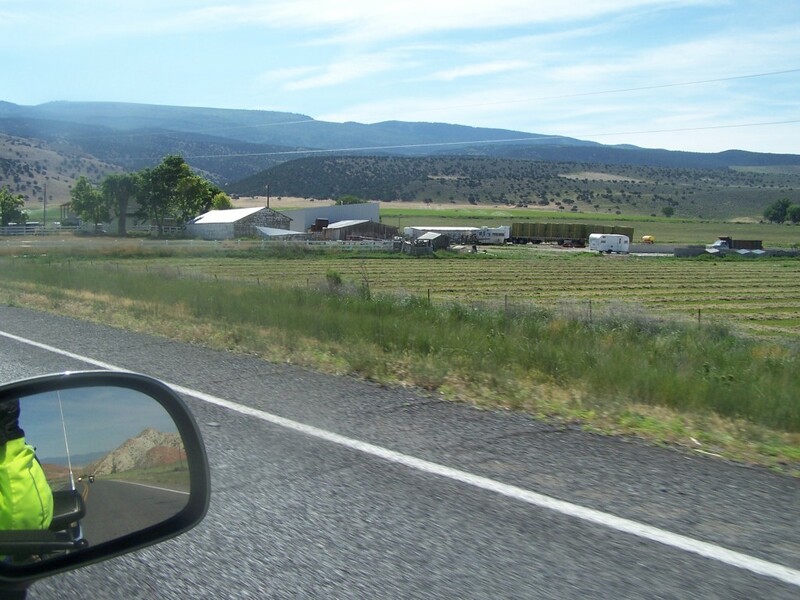 I really liked the small towns, well-kept farms and ranches all along our route. At Lehi US-89 and I-15 merge. Riding up I-15/US-89 it is more populated and traffic increases a lot as we made our way to Temple Square in Salt Lake City. Riding a multi-lane freeway with a lot of traffic and pavement, contributed to the temperature starting to climb. 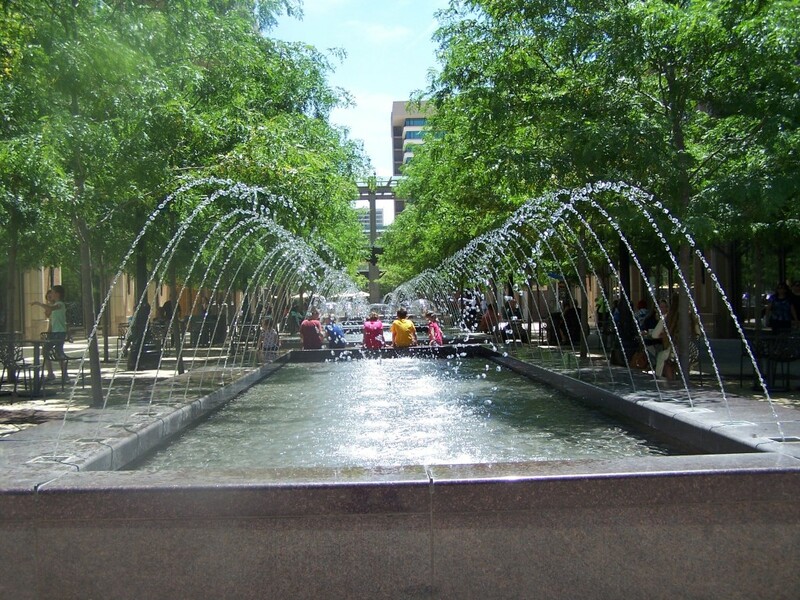 By the time we reached Temple square we were ready for a break and some lunch. 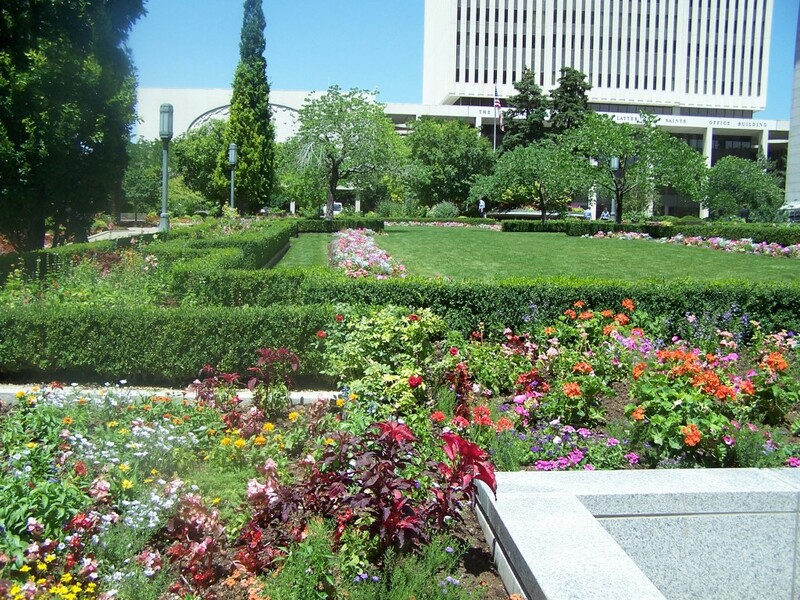 We spent time touring parts of the Temple Square, sight seeing, taking pictures and being greeted by Mormon missionaries at every turn. The missionaries were ever eager to talk and answer questions. There was a lot to see at Temple Square and so little time to see it. The Temple is an amazing piece of architecture. 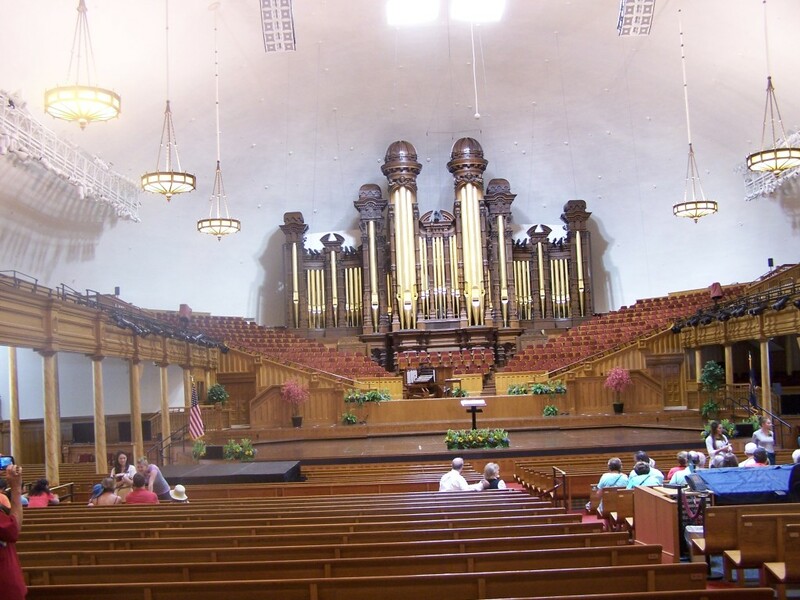 I would have liked to take a tour, but the interior is only seen by the most perfect (for lack of a better word) Mormon members who are deemed worthy… The Tabernacle is another impressive piece of architecture and you can enter and tour the Tabernacle. The most impressive thing about the Tabernacle is the acoustics and the large pipe organ. 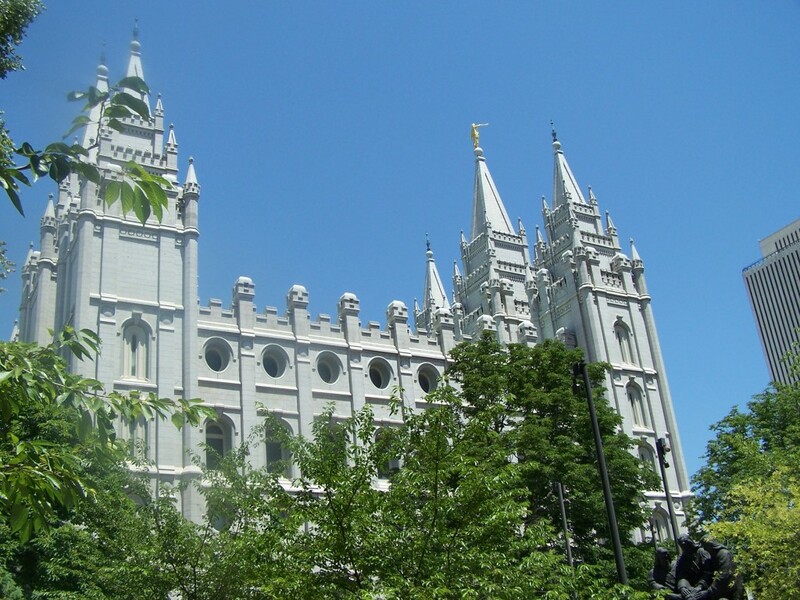 It is also the home of the world-renowned Mormon Tabernacle Choir. The Tabernacle was built between 1864 and 1867 when there weren’t any micro-phones, amplifiers or speakers. The seating capacity is about 7000, which includes the choir and balcony areas. Even though it is a very large room, we heard a pin dropped on the pulpit by a missionary to demonstrate the acoustics, while we stood at the very rear of the room. Lion House: Brigham Young’s former home. 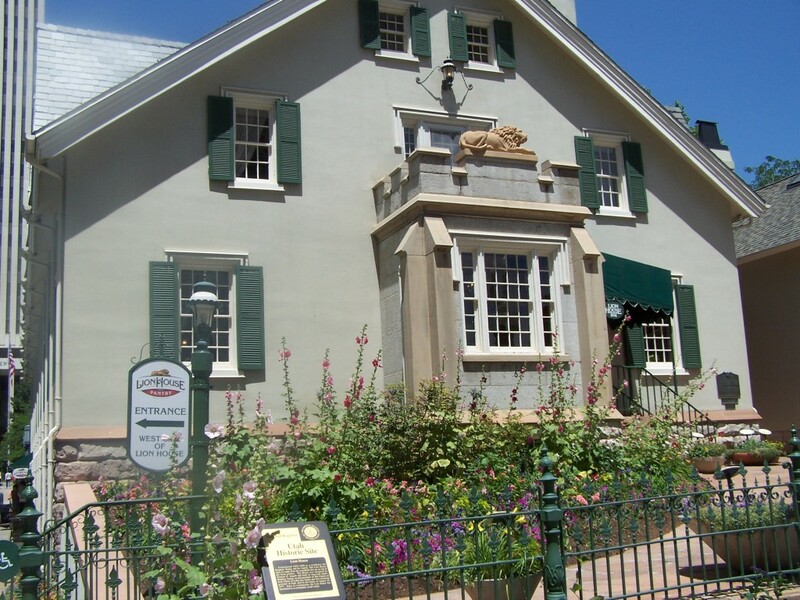 We asked about a good place to eat and were directed to Brigham Young’s former home (The Lion House). Brigham Young was the second Prophet (leader) of the Mormon Church. The basement of his home is now a cafeteria. The food was good and was a welcomed break to cool off and relax. The cafeteria served many Mormon missionaries in training and their visiting families. The families were visiting before their sons and daughters were being sent out to their mission assignments. After lunch we made our way back to our bikes and headed up a hot I-15/US-89 riding 37 miles to Ogden our home away from home for the night. 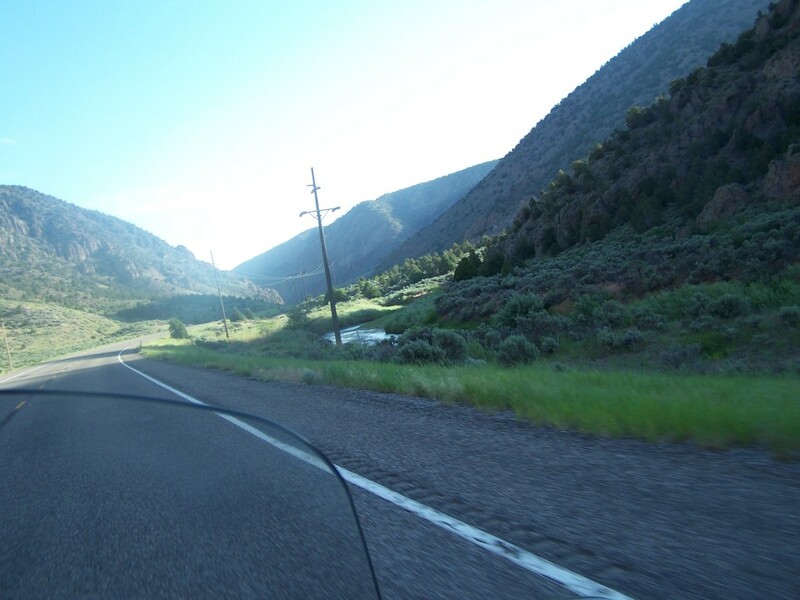 This entry was posted in Motorcycle Touring Logs and tagged long distance motorcycle touring, long distance motorcycle travel, Mormon Temple, motorcycle ride, motorcycle riding, motorcycle road trips, Motorcycle Touring, motorcycle travel, motorcycle trip, Ogden, Panguitch, Salt Lake City, Tabernacle, Temple Square, travel. Bookmark the permalink. Thanks for taking us along for the ride! 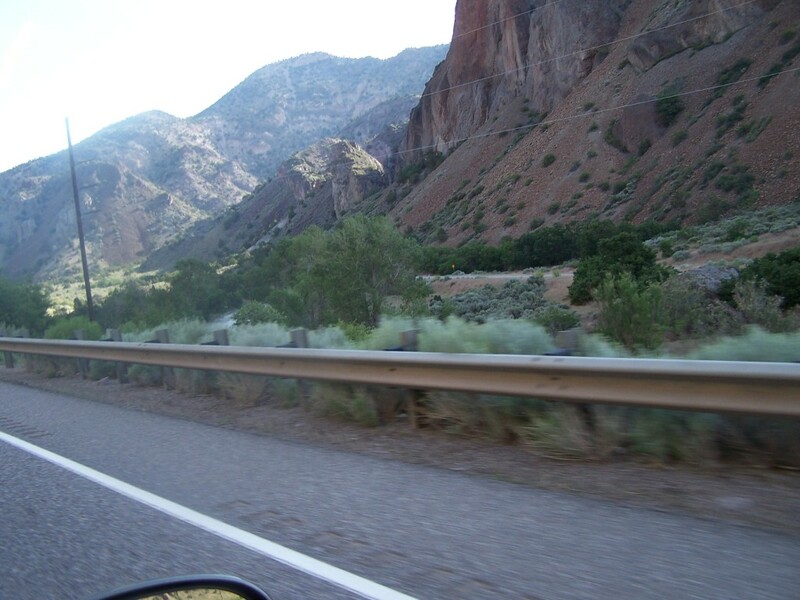 We rode through Salt Lake City several years ago, during afternoon rush hour. I remember thinking how lucky these commuters were to see the mountains every day.. Looking forward to the next adventure! Hi Kathleen, there are some great views of the mountains. It must be tough having to wake up everyday and see those views. I’m ready to go back.